Nike Air Max was first designed by Tinker Hatfield, who began working for Nike as an engineer designing sneakers. Hatfield also designed a significant number of Nike’s famous lines including the Air Jordan. The Nike Air Max Day on March 26th is an annual celebration of the brand’s famed Air Max line, which also happens to be when the iconic Air Max 1 made its debut in 1987. The Air Max range has since grown into a collection, with an array of silhouettes and design to suit a variety of needs and personalities. 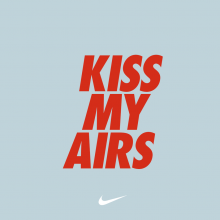 The Nike Air Max is more than just a branding; it’s a lifestyle. We at Buyandship are celebrating the occasion by reminiscing on the various Air Max collection Nike has to offer. With Buyandship, you can kick back and relax and leave the headache of international shipping to us. Get your hands on these beauties from SneakerStuff..